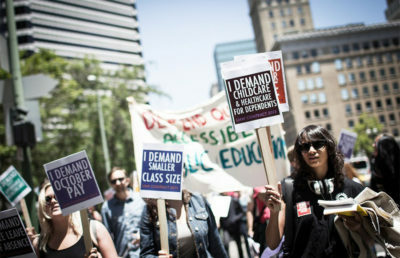 During the protest, about 20 people occupied Vice Provost for Graduate Studies and Dean of the Graduate Division Fiona Doyle’s office and read to her the union’s demands, which include greater protections for sexual assault victims and immigrant workers, police demilitarization and child care subsidies. Union members lined up against the walls, wearing matching red shirts. 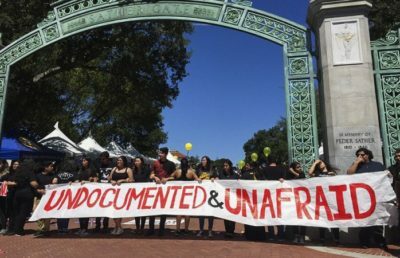 The UAW Local 2865 protest took place from 2:30 p.m. to 5 p.m, while a student employee protest took place simultaneously on UCLA’s campus. The union is also requesting that more “robust policies” be established concerning sexual violence and assault, according to Downey. 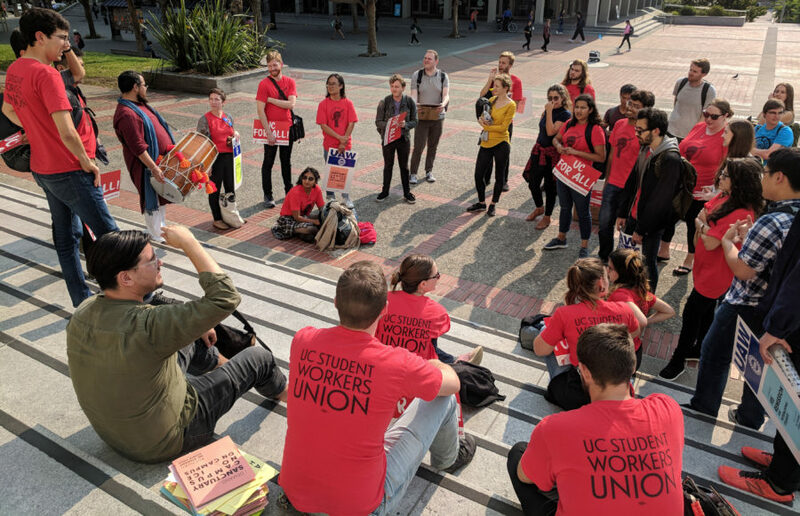 “Our goal is to reach a multiyear agreement that recognizes the significant contributions of academic student employees by providing fair pay, family-friendly benefits, a safe workplace and good working conditions,” said UC spokesperson Danielle Smith in an email. The current contract will expire Aug. 24 after an extension beyond its original June 30 expiry date, and negotiations for the new contract are scheduled to take place Aug. 9 and 10, according to Smith. Cade Johnson is a schools and communities reporter. Contact him at [email protected] and follow him on Twitter at @cadejohnson98.